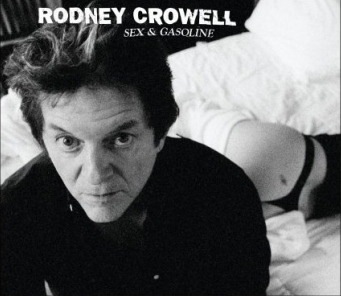 Maybe it’s the Dylanesque qualities of his voice that overset the bar, but Rodney Crowell’s current attempts to be topical are just too on-the-nose. In songs like “The Rise and Fall of Intelligent Design,” Crowell preaches to the presumably converted with more candor than craft. Crowell’s better moments are more personal. “Moving Work Of Art” features heartfelt vocals and effortlessly symmetrical lyrics. And, while “Closer to Heaven” begins with a fairly cranky list of Crowell’s likes and dislikes, the refrain is an endearing affirmation of a cozy spot in his life. Producer Joe Henry succeeds in putting a Lanois-lite polish on everything, adding a subtle but not overbearing gravitas to the songs that allows Crowell’s humor to slide through without clashing. In addition, Doyle Bramhall II and Greg Leisz gild the corners of the songs with noble guitar work that, at moments, is more intricate than the songs themselves.